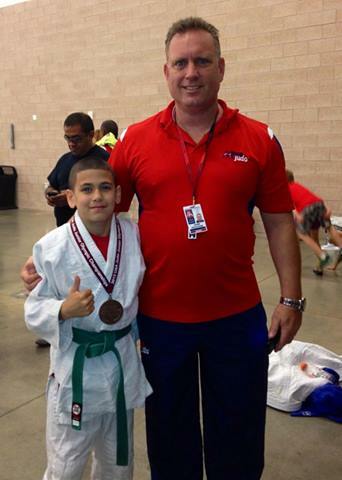 Three judoka attended the 2015 Junior National Judo Scholastics in Irving, Texas. Jaiden Meyer and Erica Paccione brought home the GOLD! Congratulations! 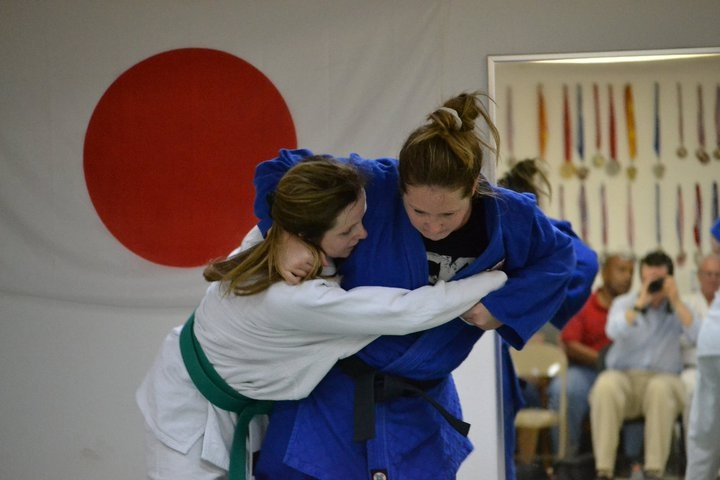 Two local athletes, Erica and Christina Paccione, who train at Kodokan Judo of Cape Coral, flew to France for the Harnes International Judo Competition. The sisters were among 6 other Americans that competed. 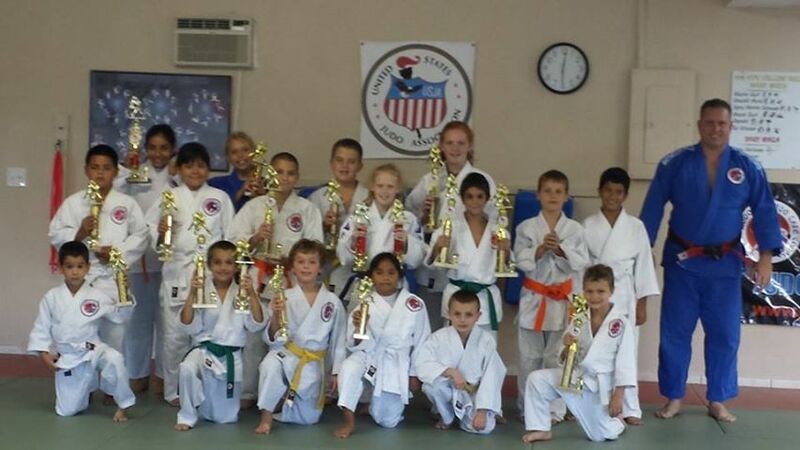 Each athlete was number one in their age and weight division in the USA. The tournament divisions were very large ranging from 9 to 50 in one division. On day one our American Team took home a gold, silver and a bronze medal. Jackson Butler was undefeated in the 50kg division taking home the Gold. Erica Paccione fought in a 17 person, -52kg division and won multiple matches by ippon (full point) with one win was under 12 seconds. 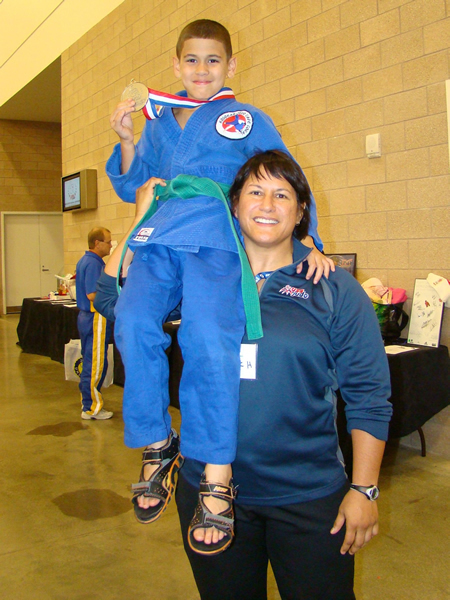 She proudly took home the Silver medal along with a gift of an Adidas sports bag. Mariah Holguin took home the Bronze. Christina Paccione (11), fought up in age and weight. Her opponents had a 17 pound advantage and were one to two years older and she still managed to score some great throws but ultimately did not make it to the finals. A few members of the USA Team traveled the next weekend to Lanester, France to compete and rose to the podium to collect their medals: Misato Sandoval - Gold, Rachel Butler - Silver and Jackson Butler - Bronze. 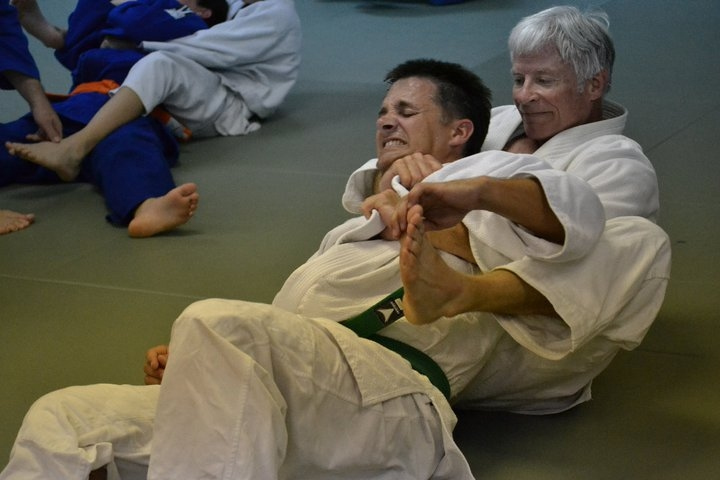 Local dojos came together for an Invitational Judo Tournament hosted by Kodokan Judo of Cape Coral to help support two judo athletes, Erica and Christina Paccione, to compete abroad. 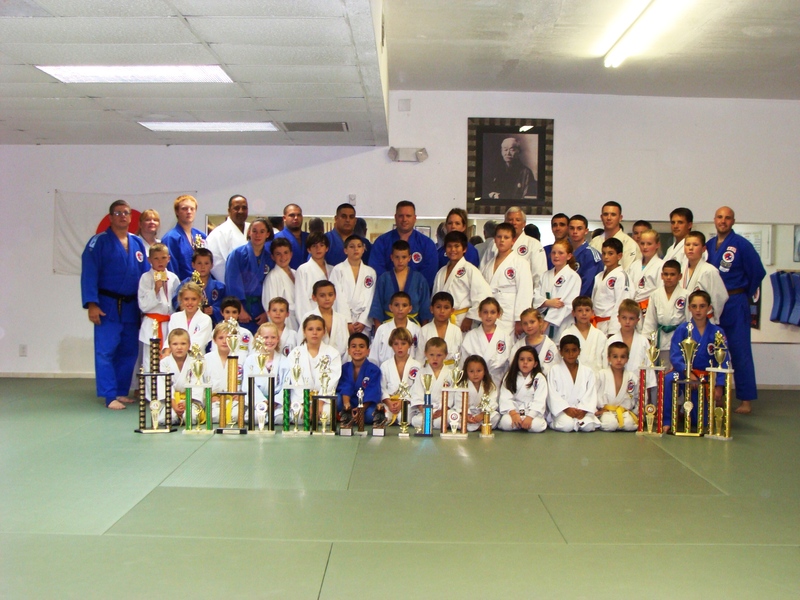 Saturday, September 7th, Sasaki-Judo ATT from Tampa, Real Judo of Naples, and Iron Fighter Judo from Miami had students competing and supporting the local fundraiser with an opportunity to leave with a 1st, 2nd or 3rd place trophy. EA Bicycles of Bonita donated a Jamis Youth bicycle valued at $350. The Holiday Inn and the Marriott Hotels both donated a two-night stay at their Town Center locations for a STAY-CATION. Ceno donated three gift certificates to their restaurant located on Cape Coral Parkway. Raffle tickets were sold and gifts were collected raising over $800 for the trip. Parents of the judo students donated food and drinks which brought in an additional $233. We are thankful to our community for supporting this event for our athletes. 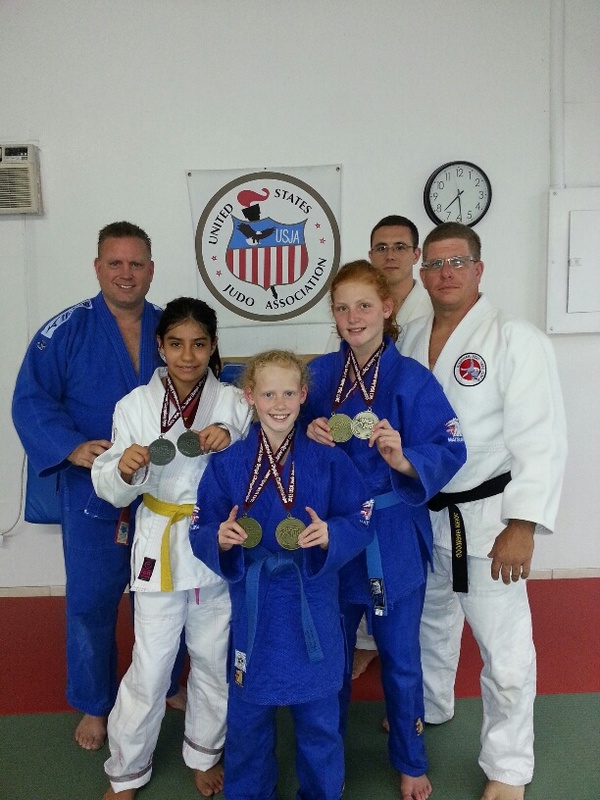 Erica and Christina have trained hard throughout the year and have earned a spot on the Junior National Judo Team. They will be competing in Harnes, France in December representing the U.S.A.
Congrats to all and thank you to everyone for your support!